Both sexes fully winged. Body and legs yellow, major setae dark brown; antennal segments VI–VIII brown, also apex of II–IV but V clear yellow; fore wing pale. 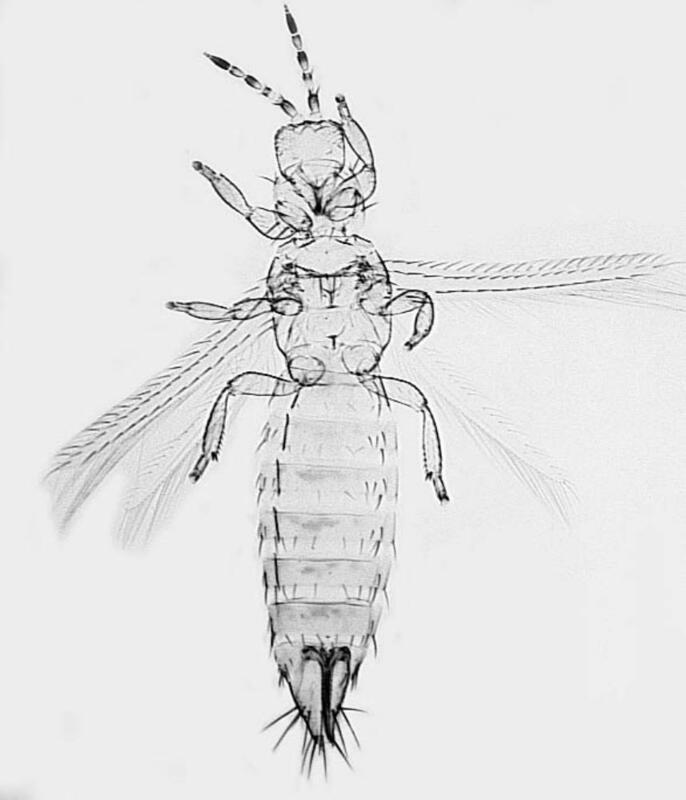 Head wider than long; three pairs of ocellar setae present, pair III as long as side of ocellar triangle, arising on anterior margins of triangle; postocular setae pair I present, pair IV as long as one hind ocellus. 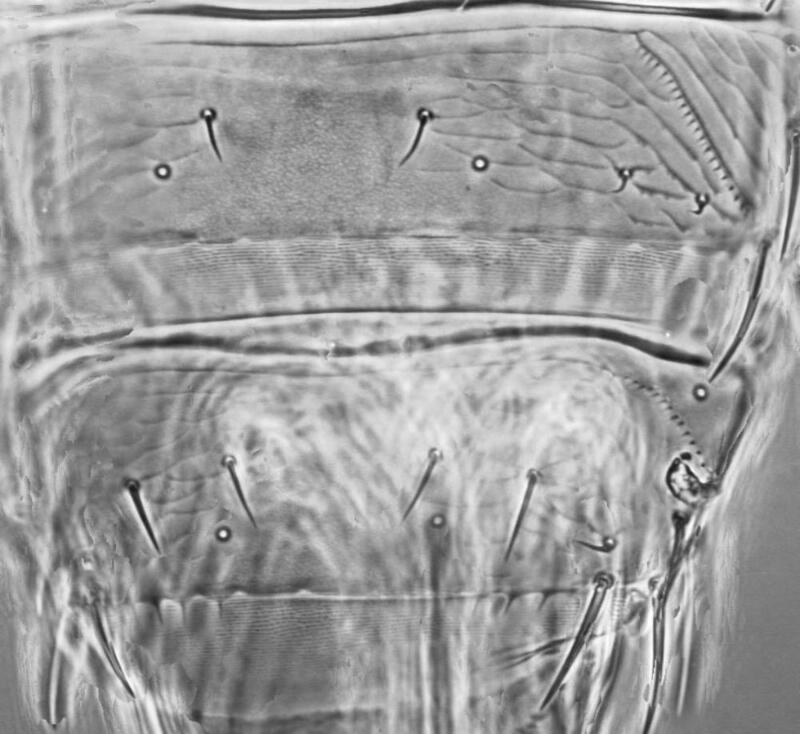 Antennae 8-segmented, III–IV with sensorium forked; segment III pedicel with sharp edged ring surmounted by chalice-shaped structure, ring upper and lower surfaces concave. Pronotum with 5 pairs of major setae; anteromarginal setae distinctly shorter than anteroangulars, one pair of minor setae present medially between posteromarginal submedian setae. Metanotum with 2 pairs of setae at anterior margin, campaniform sensilla present. Fore wing with both setal rows complete. Abdominal tergites V–VIII with paired ctenidia, on VIII anterolateral to spiracle; posteromarginal comb on VIII absent medially but with a few broadly based microtrichia laterally. Sternites III–VII without discal setae. Although common in Florida, this species is not known from California. It is included here because it is a potential invader. 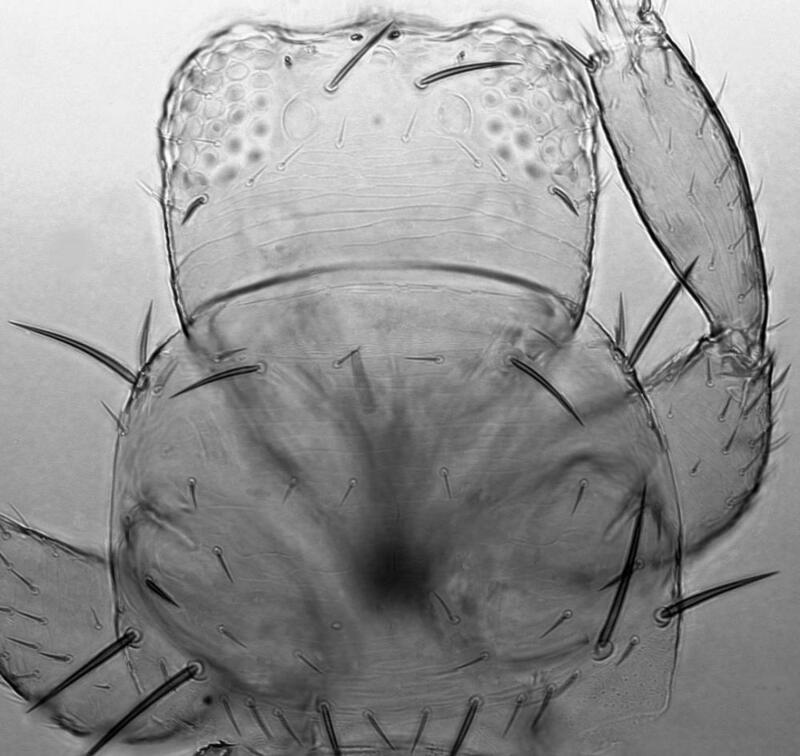 F. bispinosa is particularly similar to the widespread Caribbean species, F. cephalica, the only recorded difference being in the shape of the pedicel ring on the third antennal segment. Molecular data is required to confirm that these are distinct biological species. Currently 230 species are listed in the genus Frankliniella, with up to 130 further names placed into synonymy (Nakahara, 1997). This high rate of synonymy has been due to the previously unrecognized variability in size and color of so many species. Keys to 74 species recorded from Central America and the Carribean were provided by Mound & Marullo (1996), and to 40 species from Brazil by Cavalleri & Mound (2012). Flowers of various plant species. Damage to flowers and young fruit of Citrus in Florida (Childers, in Lewis, 1997). South eastern USA, Bermuda, Bahama Islands. Not known from California.